Oh butternut! Sometimes you remind me of myself. Hard on the outside, but shiny and gorgeous on the inside. I'm not even kidding :) Also, just like me, butternut squash is incredibly versatile and is so good for you! Last week I picked up a butternut squash at the grocery store and decided to make soup. But I wanted to make this butternut squash soup different from the other ones I've made. No curry. No coconut milk. No roasted pears or apples. Instead, I decided to spice things up with aleppo peppers and add crispy chickpeas and pepitas for some texture. 1. Heat the olive oil in a soup pot. 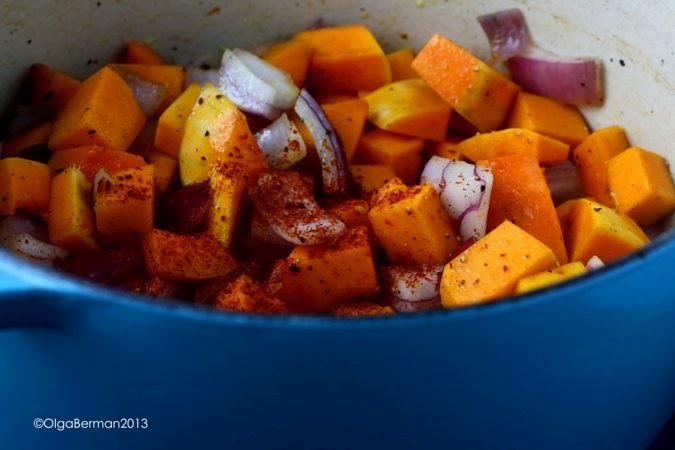 Add butternut squash, onions, garlic, salt & pepper, and alepppo pepper and saute for 15 minutes. 2. Add the chicken broth, bring to a boil, lower the heat, cover the pot and cook until the vegetables are completely tender, about 15 minutes. 3. Meanwhile, make the chickpeas and pepitas for the topping. 4. Using a stick blender, puree the soup till smooth. Add more salt and/or aleppo pepper if needed. 5. 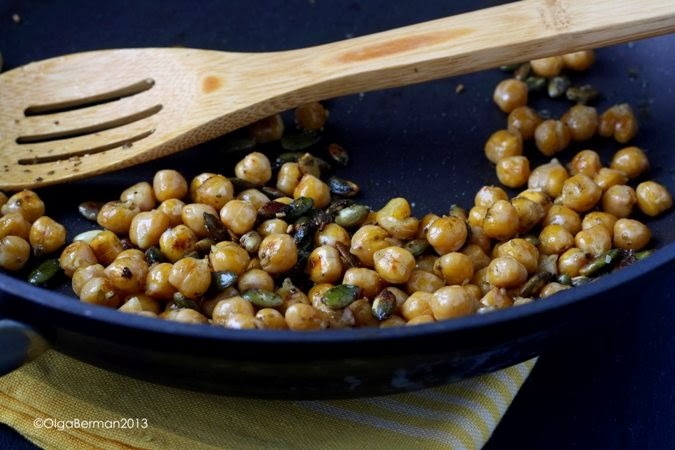 Serve topped with crispy chickpeas and pepitas and a dash of green za'atar. 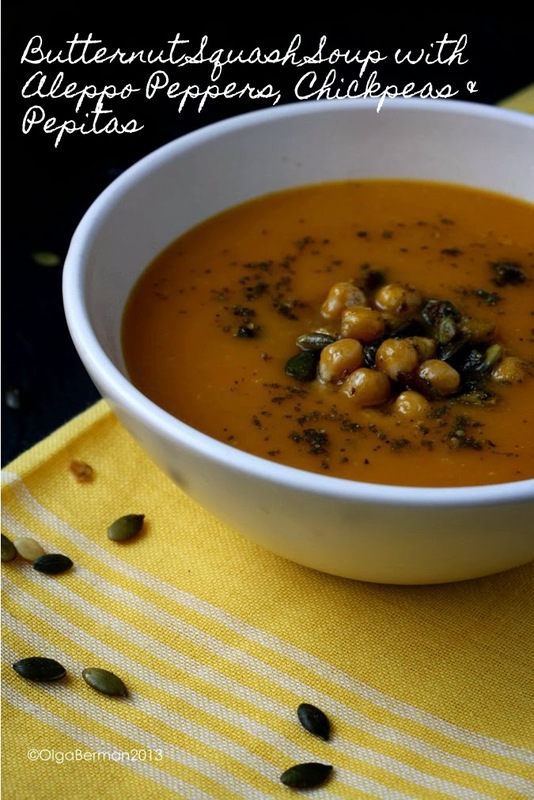 I really liked the flavor of this soup: it was earthy and reminded me of fall. 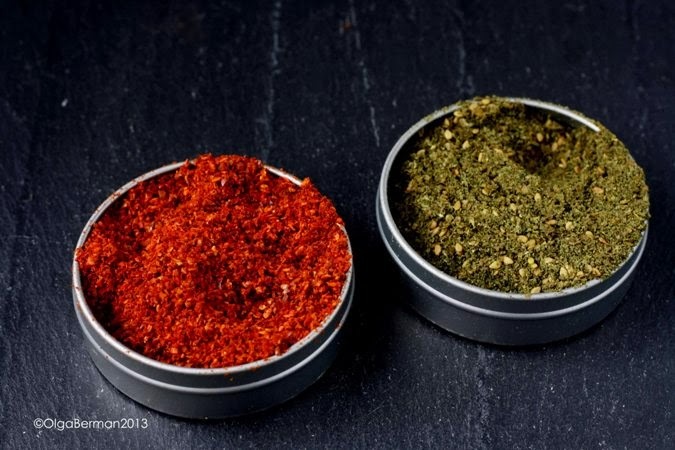 It's great on a chilly day or night, and gets better as it sits in your refrigerator. 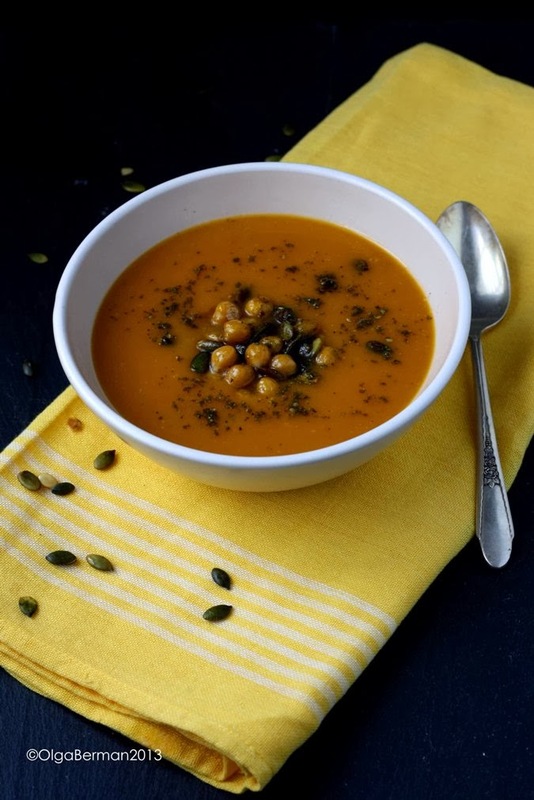 What's your favorite thing to do with butternut squash soup? This soup looks delicious. 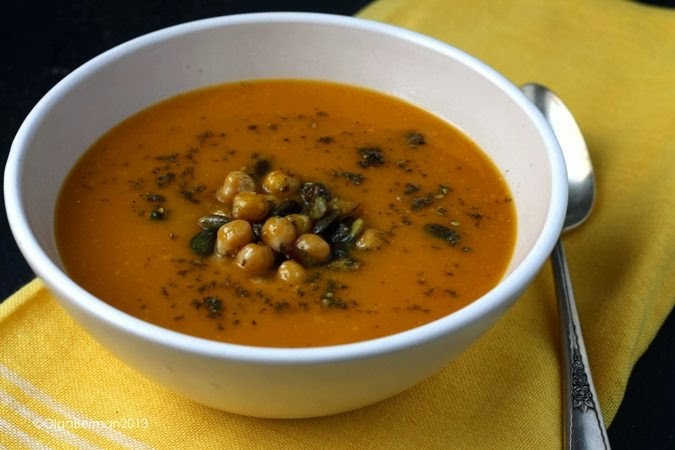 I like the idea of adding chick peas on top. Plus, I think Yotam would approve.